Join us in celebration and fellowship at our community Mother Blessing. 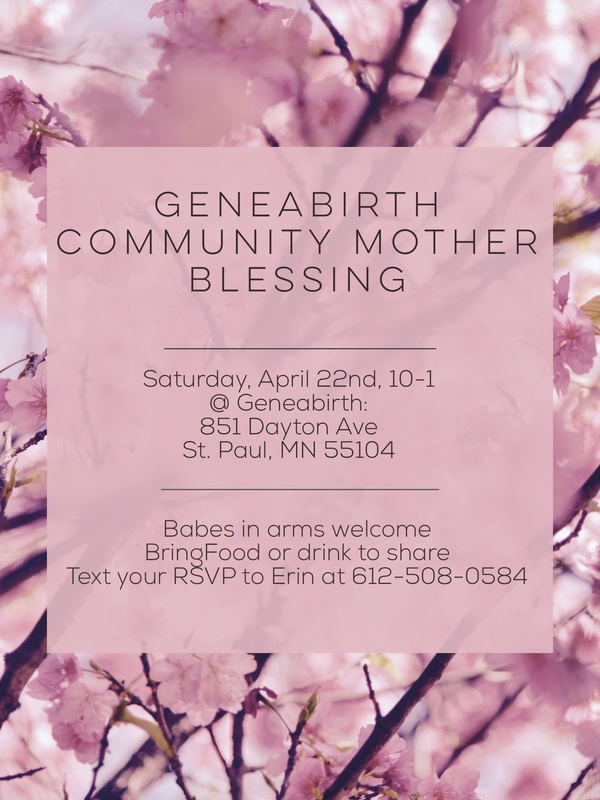 A Mother Blessing is an alternative to a baby shower, an event to mark the passage a woman makes to motherhood for the first time or each subsequent time she adds a new life to her family. All women are welcome…pregnant, postpartum, doula or other birthworkers or any women or mothers who want to offer support, enjoy one another’s company and bask in the warm, loving birthy glow. We will honor the mothers who came before us, sing, pamper our mothers-to-be and other guests with henna, foot rubs and shoulder massages, weave a web of support and end it all sharing a delicious meal together. Babes in arms welcome. Please make alternative arrangements for older babies, toddlers and children. Please bring a potluck item to share. Sparkly non-alcoholic beverages, coffee, tea, a celebratory cake and gluten-free treat will be provided. Text us to set up your complimentary consultations and meet the midwives!